“There are bonfires on a lot of hillsides tonight, the sound of drums and wild hooting, people with serious scores to settle muttering at each other in the darkness. 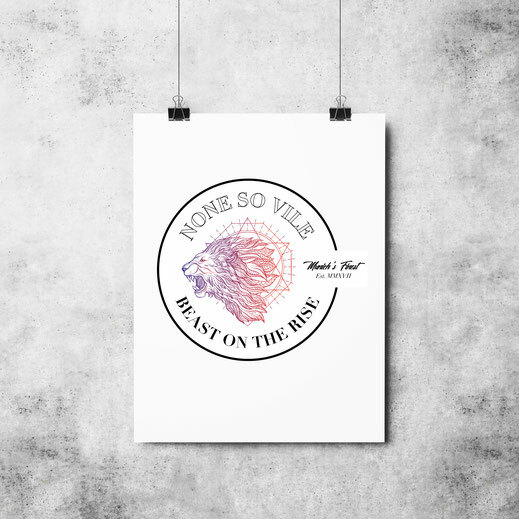 The yahoos are out there, and they think their time has come.” None So Vile is the musical brainchild of L. Dörenbach and A. Horngacher, an ambitious self-produced project to test the boundaries of modern guitar music, with their first single "Beast On The Rise" releasing soon. Coverdesign der ersten Single "Beast On The Rise"